Time to wake up the “ole” blogger……Farmerdad is out of hibernation ! Up and at um and out the door, what do I see…..this young fella on the honey suckle waiting for me ! Then you know what I said ?…… “Holy crap a talking winged friend!” Then he posed for a picture and off again. ENJOY! So happy you are back at it! Welcome back Farmer dad. Gorgeous Picture! Looking forward to new posts soon! I love this photo! 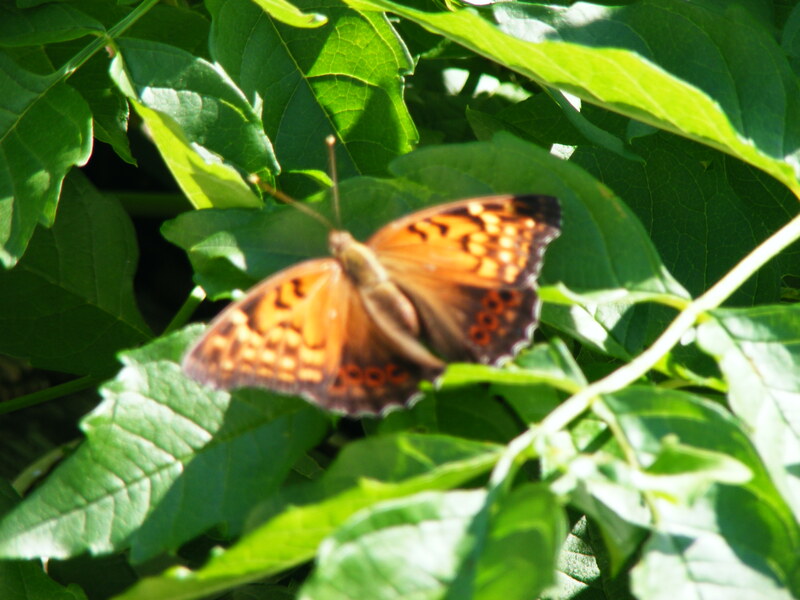 I think the butterfly is beautiful (and you are obviously a great photographer). Yea! Welcome back FarmerDad! I’m a friend of your daughter Brandy’s. She is the best. I’m glad you are back and ready to write. LOVE butterflies! Nice job on catching it sitting!! Lol! I think I would say Holy Crap too if a sweet little butterfly started talking to me 😉 Beautiful picture!